“FUKKIN’ KAOS!! !” is the first thing that comes to mind when I think of Australian death metal lunatics Sadistik Exekution. These Sydney mad men crafted some of the most chaotic, sick and disgusting sounding death metal ever played. It was loud, evil, abrasive, blackened and spastically chaotic. “We Are Death… Fukk You!” is the second full length, which came out in 1994. 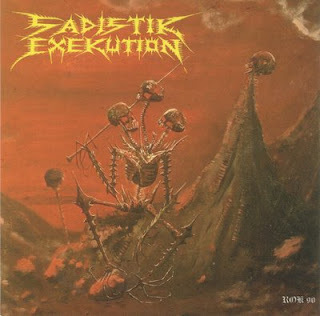 SadEx were ahead of their time; utilizing the psychotic screams and shouts of vocalist Rok, to Rev. 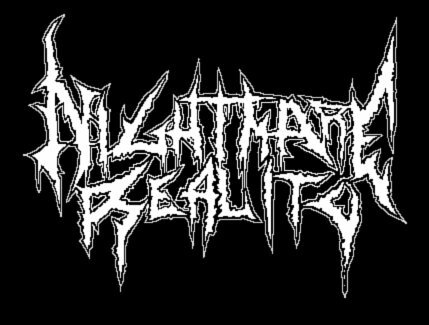 Kriss Hades’ insane guitar work, Dave Slaves’ mental bass lines and the ultra fast drumming, the band combines elements of death metal with black metal, grind and a few rare doom parts (see “Evoke War Vomit” for example) to produce some of the most intense and shockingly awesome music you will ever hear. Every song on “We Are Death…” is an absolute ripper, although some may be held back from their true potential by the production, which jumps around on each song, as this album was originally recorded as an EP but released as a full length with a few singles/demos/etc. chucked on to make up the extra time. The production issue, however, is the only real negative thing I have to say about “We Are Death…” and pointing out anything else would just be nitpicking, which doesn’t work when analyzing an album so chaotic and intense. I’ve chosen not to ramble on too much while writing this review because once you listen to the album, it speaks for itself with its’ straightforward approach.